Can a cheap and widely available TB vaccine help diabetics? There’s more evidence that a vaccine used to fight tuberculosis for 100 years might help people with diabetes. Researchers said Monday that a few diabetics who got the vaccine had much better control of their blood sugar after eight years than people who did not get it. It’s a small study and many experts are skeptical about it. But if the results hold up in more people over time, it could point to a cheap and easy way to help keep people with type-1 diabetes healthy. The team at Massachusetts General Hospital has been testing the bacillus Calmette-Guérin (BCG) vaccine, used to prevent tuberculosis and to treat some forms of bladder cancer. Tests in animals had indicated that it might help fight the immune system mistakes that cause type-1 diabetes, also known as juvenile diabetes. It’s caused when the body mistakenly destroys the cells in the pancreas that make insulin, forcing patients to carefully monitor their blood sugar for life and to inject insulin as needed. This team in the lab of Dr. Denise Faustman has been following 282 people, including 52 diabetics who got the vaccine. Three years after they got two doses of BCG, six of the diabetes patients had near-normal levels of blood sugar and had lower average blood sugar levels than those who got placebo shots, the team reported in the journal npj Vaccines. These effects have lasted, so far, for five years. It takes three years for the vaccine's benefits to kick in, and people need two doses, a month apart, to benefit, the team found. But after that, the patients did not receive any more extra treatment. They researchers will also present their findings to a meeting of the American Diabetes Association in Orlando. The vaccine does not appear to work in the way the research team initially thought it would. It does not cause the damaged pancreatic cells to regenerate, they found. Instead, it appears to change the way the body metabolizes sugar. And it appears to do so safely, they said. “BCG treatment does not carry the risk of hypoglycemia as is the case for intense insulin therapy,” they wrote. The research has been controversial from the beginning and diabetes experts are reluctant to say much about it. 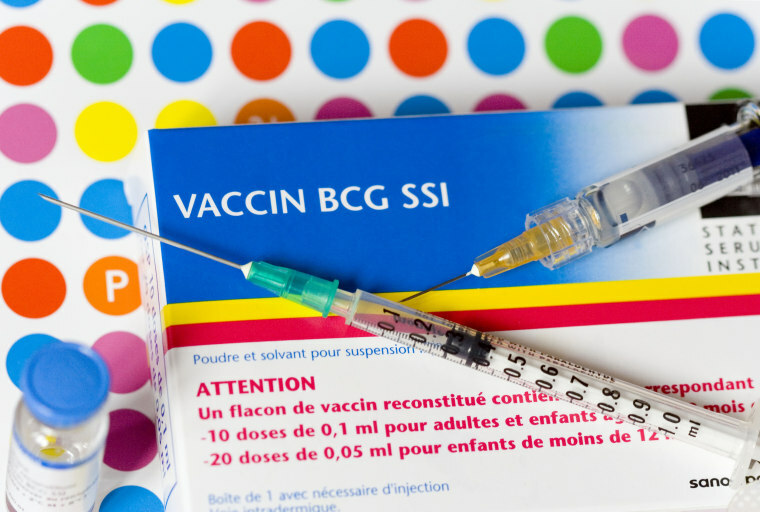 “If a simple and safe BCG vaccination could improve glucose control in Type-1 diabetes it would be a major advance. Unfortunately this study does not give any strong evidence to say this is the case,” said Andrew Hattersley of the University of Exeter Medical School in Britain. The patients also continued their normal self-care, watching their blood sugar levels and giving themselves insulin as needed. “This could be something that happened by chance because people were a bit more diligent or leaner or more compliant with diet,” said Dr. Adrian Vella, an endocrinologist at the Mayo Clinic. The team is recruiting more people with type-1 diabetes for more research to see if the effects can be seen in more people. Controlling blood sugar is crucial in type-1 diabetes. Normally, the pancreas does this with insulin but people with type-1 diabetes don’t make insulin any more. If blood sugar gets too high, it damages blood vessels, leading to organ damage and damage to the hands and feet, as well as blindness. If it falls too low, people can fall into coma and even die. An estimated 3 million Americans have type-1 diabetes, which differs from the far more common type-2 diabetes linked with poor diet and too little exercise. There is no cure, although transplants of pancreatic cells can help. Felix Gussone, MD and Judy Silverman contributed.